You can create all sorts of various backgrounds using your dies. And this is something I really enjoy doing! 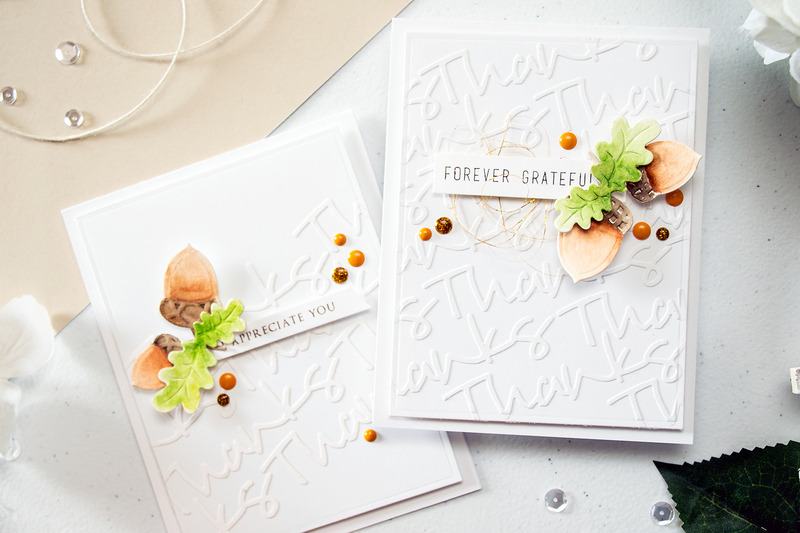 I love the latest Spellbinders Phrase Set One set of dies, especially the Thanks die – the font is just so trendy! 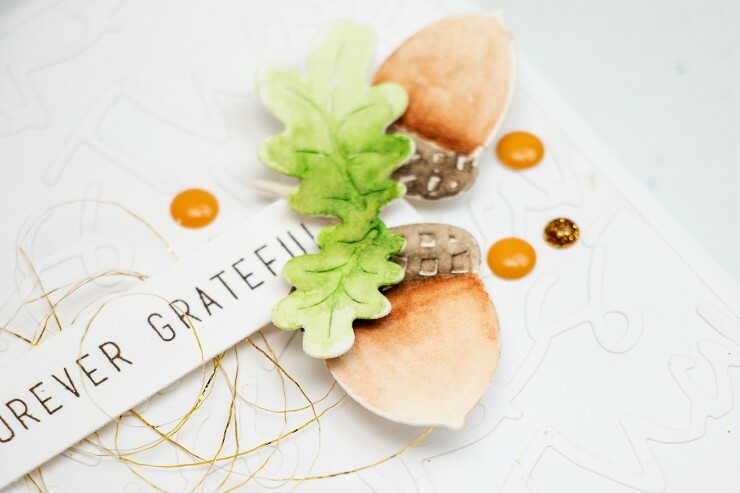 I used this die to create full and partial faux embossed backgrounds for simple Fall cards I’m sharing today. 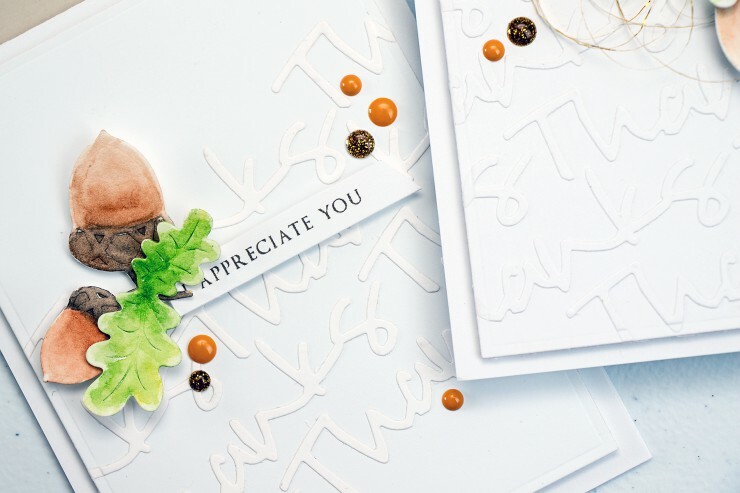 I started by die cutting a bunch of Thanks words out of white cardstock which I had previously covered with Scrapbook Adhesive’s Adhesive sheets (on the back). This created a sticker and made it easier to adhere these onto my background. After I had all the pieces adhered I used a rectangle die, the largest one from the A-2 Matting Basics B set and trimmed my panels down. I also die cut and embossed acorns and oak leaves out of watercolor paper and quickly watercolored these using my Zig watercolor set. Love the way these turned out, I had never thought to watercolor die cuts and I’m super happy I gave it a try. To finish my cards I added a couple enamel dots in Fall colors and foam mounted my faux embossed panels onto A2 card bases. Incredible! Love this technique. Watercolor acorns look amazing! This is so beautiful Yana. I enjoy your videos, they are full of inspiration and tips. Thanks so much for sharing your talent! Beautiful! I am going to try this today!!! Thanks so much. Lovely cards. Thanks for the ideas and inspiration.